"Introductory Essay" by Bruce Thompson, Ryan Johnson et al. Thompson, Bruce A. "Introductory Essay." Introduction. 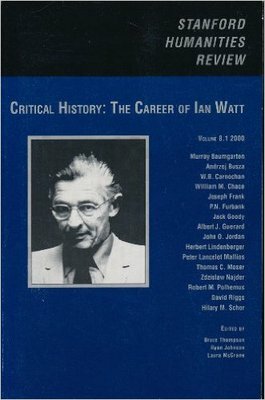 Critical History: The Career of Ian Watt. Stanford, CA: Stanford Humanities Center, 2000. N. pag. Print.